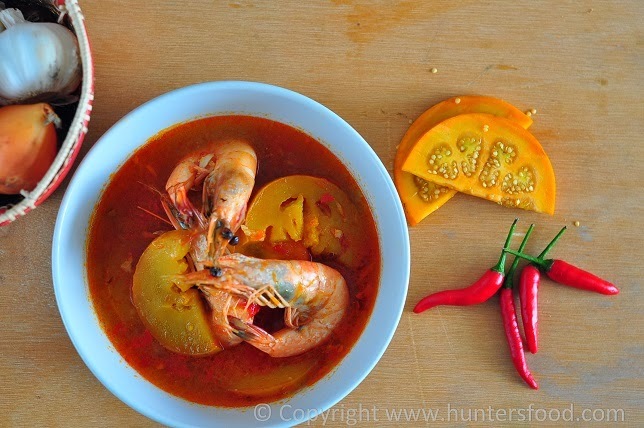 This dish has a similarity to the Peninsular Malaysia version of cooking Asam Pedas, with a difference that the sourish taste is produced by the Terung Dayak or Terung Asam, minus the fresh herbs such as daun kesum or daun kantan. This is a good example of how Terung Dayak usage has become versatile given its unique and mild sourish flavor. 3. Add water, terung asam and lemongrass. 4. 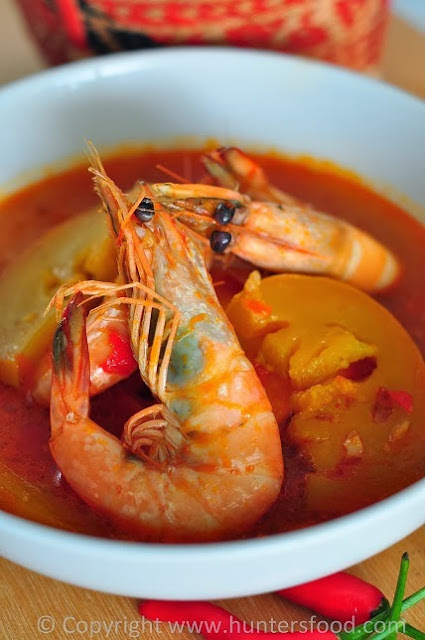 Once terung asam turns translucent, add in prawn. Cooked for another 3 minutes. I tried this recipe today with the terung assam that I brought back from Kuching. Tweaked the recipe with the addition of a bit of belacan. It was so good. Thank you for sharing your recipe! Sedap, samak ku bogo terung tih adin. Tiek suba eh.